Helen E. Ross (University of Stirling) remembers the academic and former President of the British Psychological Society. 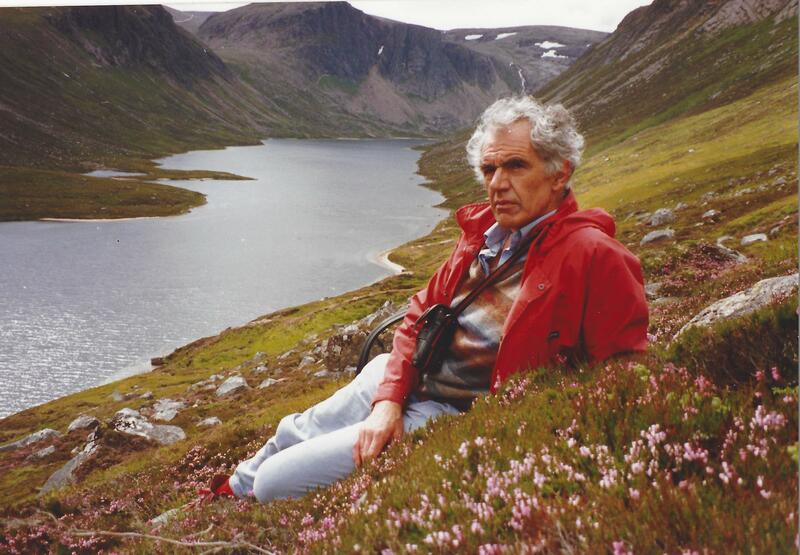 Alexander Allan Innes Wedderburn died of oesophageal cancer on 23 February, aged 81. Zander (as he was always known) was born in Edinburgh, and attended Edinburgh Academy where he became Dux. He did his National Service in the Royal Navy, where he learned to play the guitar. He went up to Oxford with a scholarship in 1955, studying classics at Exeter College. I was also studying classics at Oxford, but I really got to know him because we both attended St Columba’s Presbyterian Church, and were both keen on folk music. Zander played the guitar and sang with a deep voice at the Heritage Society. We were neither of us very good at Latin and Greek, getting Thirds at Mods (Part 1 of a degree course). Zander told me he was switching to PPP (Psychology and Philosophy), and I followed suit. This was a very wise move, because classics was a dying subject whereas psychology was expanding and offered various career prospects. The subject matter was also more interesting, and the social life in the small Institute of Experimental Psychology was most enjoyable. Zander took part in Ian Oswald’s sleep experiments, which sparked his later interest in shiftwork. We both graduated in 1959 with undivided Seconds – not bad, since Thirds and Fourths were often given out. Zander was unusual in having his Honours project published. This was joint work with Jeffrey Gray (QJEP 1960, 12, 180-184), challenging Donald Broadbent’s theory of binaural attention and switching between ears, and it became a much-cited paper. Zander married his childhood sweetheart, Bridget Johnstone, and they had four children. They first lived in Corby, where Zander was a foreman for Stewarts & Lloyds. He then worked in Industrial Relations at the University College in Cardiff, moving in 1968 to Heriot-Watt in Edinburgh, where he gained a PhD and became Head of Department. His main scientific contribution was on the effects of shiftwork, but he also served on a large number of committees within the British Psychological Society and elsewhere, becoming President of the BPS from 2003-4. He was excellent at managing people and defusing arguments. He was less successful at giving up smoking his pipe, which he claimed to have done many times. The treatment of addiction is an area in which psychology could do better. I caught up with the Wedderburn family again when I moved to Stirling in 1969, and enjoyed their hospitality at their large house and grounds in Charlestown, Fife, and later at their home in the West End of Edinburgh. Zander and Bridget were regular attenders at the church of St Andrew’s and St George’s West. They both enjoyed skiing, and I sometimes met up with them skiing in Glencoe. Zander also took part in squash and curling competitions. After retiring as Professor Emeritus in 2000 he started up a small publishing business, the Fledgling Press, producing both eBooks and printed books for new authors. Unfortunately Bridget developed severe Alzheimer’s and had to go into a care home. Zander was a devoted husband, and visited her almost every day until she died in 2016, a year before him. When he became weaker with cancer he had to give up his sporting activities, but spent a lot of time playing games on the internet, particularly web-based curling at which he was expert. Fortunately his son Christopher moved into the flat, together with his Russian wife Nadia and their two children. Christopher and Nadia were able to look after Zander as he weakened, and several of the family were present when he died peacefully at home. He will be remembered by all who knew him as a most friendly and helpful person, who always looked on the bright side of life.